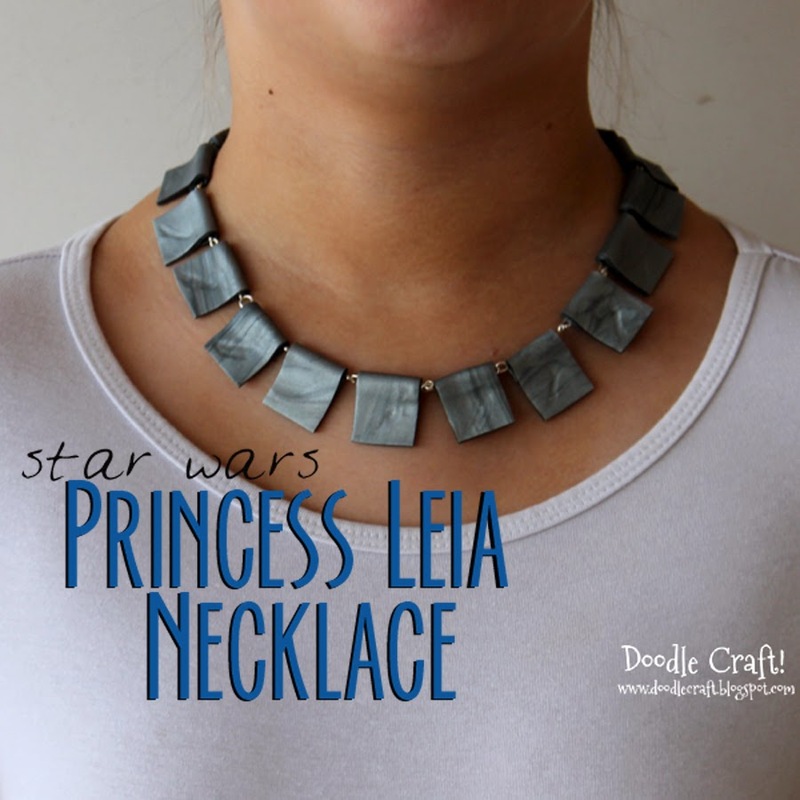 Doodlecraft: Star Wars Princess Leia Ceremonial Necklace DIY! 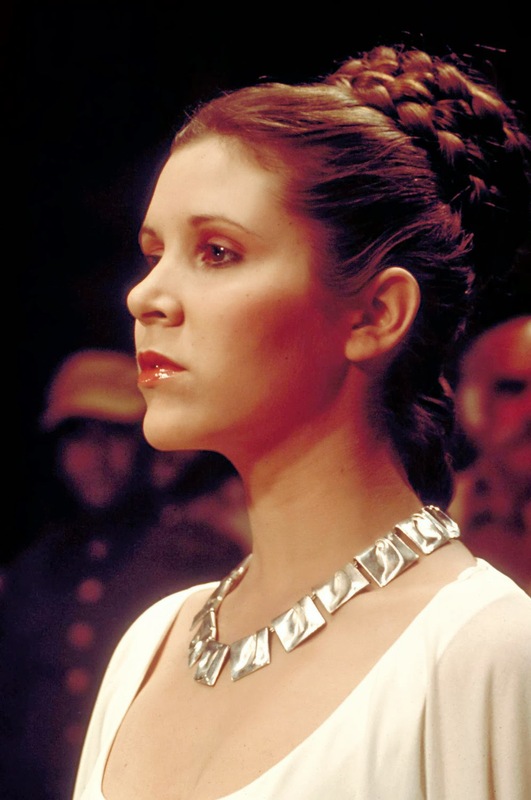 Star Wars Princess Leia Ceremonial Necklace DIY! Who doesn't love Star Wars? And who doesn't love Princess Leia? Okay, so let's make a ceremonial necklace to celebrate! I used silver polymer clay. Rolled it out flat like a sheet of metal. Cut in a rectangle and rolled the top edge around. Bake in the oven according to directions. Mine was 15 minutes at 275 degrees F.
Then let them cool completely. Next you'll need some jewelry pliers and some eyepins. and loop the other end. Hook on another eyepin and bead, loop, and repeat 18 times. They will notice the similarity! Buns in the hair help too! May the 4th and Force be with you--all weekend! Love Leia's outfits - so simple and so lovely. Great necklace.